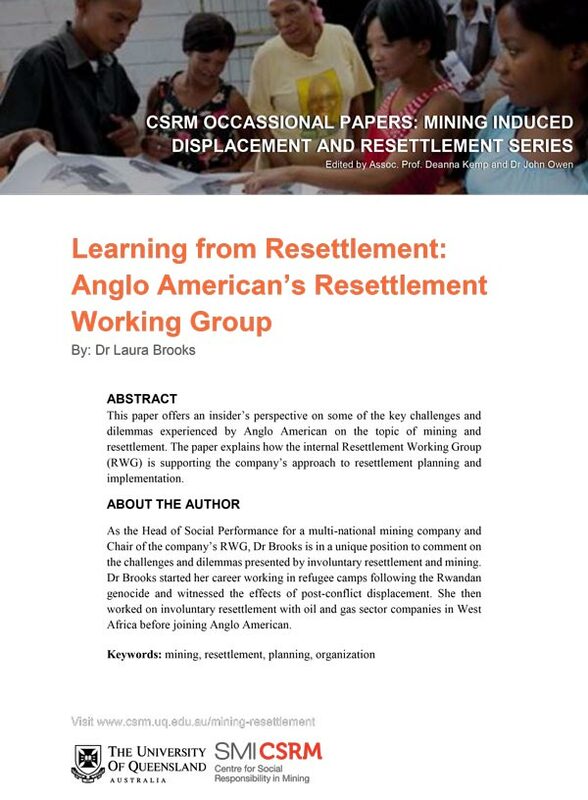 The ComRel initiative at CSRM is welcoming submissions for an Occasional Paper series on Mining and Resettlement. 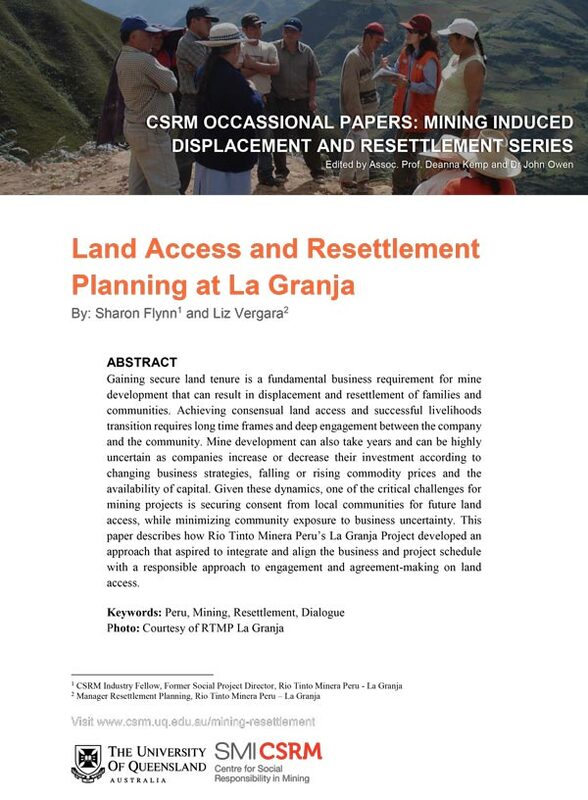 Papers dealing with issues of relevance to the current policies and practices of mining and resettlement will be accepted from all disciplines. Submissions from consultants, industry, independent advisers, auditors, lenders, students and career researchers are all welcome. Industry papers: will showcase issues, approaches and events from the perspective of practitioners working with the mining industry (e.g. companies, governments civil society etc.). These will take the form of position papers on mining and resettlement policy, case studies, or professional narratives. Contributions should not exceed 5,000 words. Research summaries: are for previously published work in journal articles, book chapters or book length manuscripts. The research summary format allows authors to provide a succinct overview of their work. Summaries should be no longer than 3,000 words. Original research papers: should be a maximum of 7,000 words in length and should not have been published or under consideration elsewhere. If you're interested in submitting an occasional paper, please read the submission guidelines.